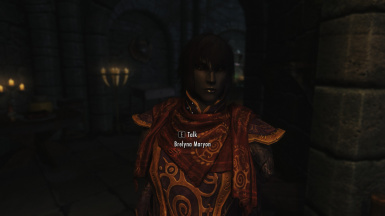 This is an NPC Replacer mod for Brelyna Maryon, using the CK method with "showracemenu" and "SPF" importing into CK Creation Kit. This option will change the vanilla follower Brelyna Maryon's physical outlook and also adds a few improvements without changing too much of how she works in vanilla. The old version 2.0 had several bugs and issues going along with it, including a completely dark custom color for both head and body. 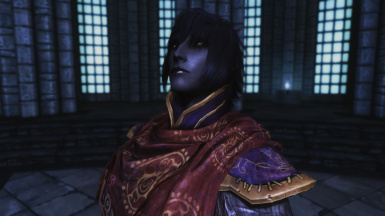 Also, the head had a seam issue, while creating new Dunmer NPCs/Followers did not. Clearly something went wrong with my V2 creation. All these and other issues with V2 have been hopefully addressed in V3. Besides the bug/seam fixing, V3 has a lighter skin tone color. Note: While this dependency is generally frowned upon, I think that I'm actually making it easier by so doing for others to change to another Apachii Sky Hair, already "setting up". Otherwise, it's more work to set that up yourself. 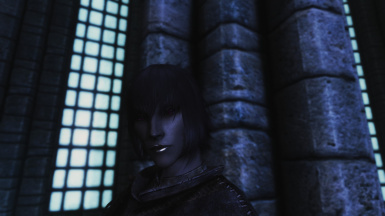 1) APPEARANCE: Noctis Elf HairStyle #33 from Apachii Sky Hair, Covereyes Dark Red Dunmer eye color for initial, non-Vampire Brelyna. Note: Everything else kept as closely to original version 1.0 and 2.0 as possible, including LipType at 17, NoseType at 16, Eyes Type at 24 and other sliders. 2) SETUP: Unique, Essential, Doesn't Affect Stealth Meter. 3) STATS: Max level raised to 99. Replaced Items: Hoodless Robes now instead of Hooded Robes. 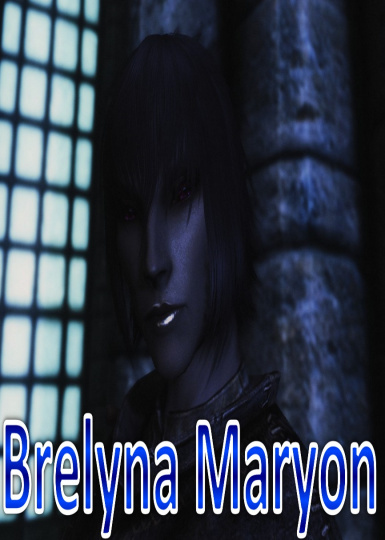 Conflicts: This is a Brelyna Maryon REPLACER. Not compatible with any other Brelyna Maryon replacers, naturally. 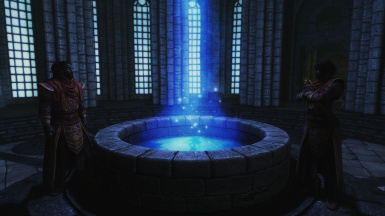 For ease of use, download and install using [url=http://www.nexusmods.com/skyrim/mods/modmanager/? ]Nexus Mod Manager[/url]. For manual install, simply extract the contents of the archive into your Data folder. A. NMM: Just click "Download with Manager"
-Uninstallation: Just delete the BrelynaMaryonSultry.ESP under Data and the 0001C196 ID files (this is the ID for Brelyna Maryon) in the Meshes and Textures folders. 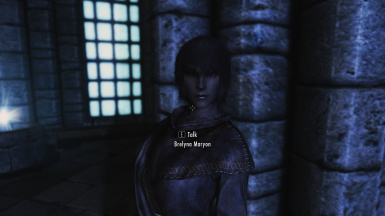 I. Clockwork BETA's "Better looking Brelyna Maryon" was close functionally to what I wanted. However, I didn't like either hair style (short custom hair and DarkElf01 long hair) and the freckles. Just personal taste, no likey de frekcles. II. urshi's "BRELYNA Charming Dunmer Beauty" I found more aesthetically appealing. 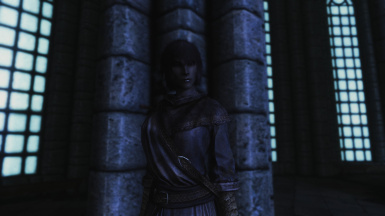 However, Brelyna looked too neat in that mod for my liking. 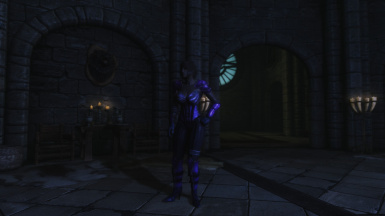 Therefore, using these two mods as inspiration, I created my own look for Brelyna Maryon. 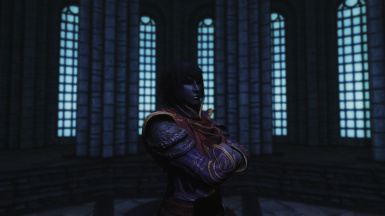 She comes with custom look including custom hair, violet-bluer Dunmer skin tone, and traditional red Dunmer eyes. Finding no similar dark, sultry look for Brelyna, I'm sharing this. 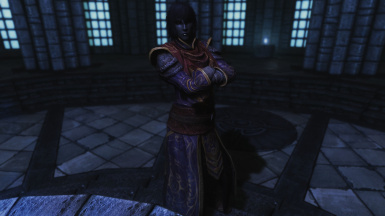 In my personal Skyrim experience, my Dunmer wizard-lord Arai Telvanni had his eyes set on Brelyna Maryon from the get-go and the duo's incredible saga throughout Skyrim had left me with a deep, lasting, and Morrowind-nostalgic affection. 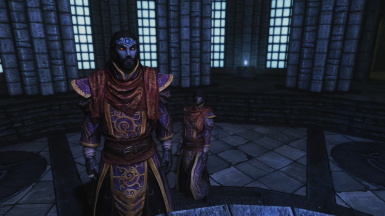 The two became co-Archmages of the College of Winterhold. Both bravely transformed into vampire-lords, harnessing the power of the Cairn Soul plane. Threatened by Mithraak, the two re-established Morrowind ties in Solstheim, ending his dark reign. Thus, Arai and Brelyna solidified Telvanni influence by clawing several estates from House Redoran in Raven Rock. 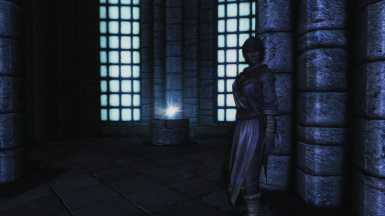 Recently, the two began constructing a Telvanni wizard-tower in Skyrim proper, somewhere off the coast of Windhelm. 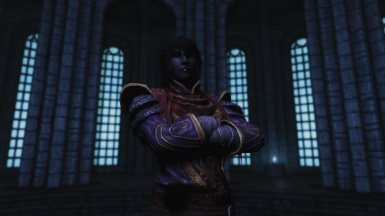 With Vvardenfell ash still fresh from their latest sojourn in Solstheim, the two are intent at liberating the Dunmer Gray Quarter in Windhelm, ending the Civil War, ensuring both Dunmer and House Telvanni survival in Skyrim. ATTENTION! The old version 1.0 for this mod was created in NPC Editor, which has since become outdated and is probably no longer safe to use. I have been advised to recreate my followers using the CK for better compatibility with Skyrim's recent updates. Because of this, you will be required to make a clean save before upgrading to the new CK version. Please read these instructions carefully! 1) Make sure to remove all important items from your follower - otherwise, the items will be deleted from the game. Dismiss your follower now - I recommend doing this close to where their "home" is - in this case it's The Bannered Mare - just to make sure he gets home quickly. I also recommend going into a different interior somewhere where you follower is NOT and making a save there. 2) Now you can safely exit the game and disable the old plugins. 3) Reload the last save you just made and ignore the message about missing data - this is expected since you just uninstalled the old version of your follower. Now once you're loaded back into Skyrim, you can make a new save in a new slot - this is your clean save. 4) Now reinstall v2 of whichever plugin you use. You can then load up that clean save you just made and go back to and re-recruit your follower! B. Manual: Unpack and Drop the ESP and BSA files under your Data folder with other ESP and BSA files. On V1, I had my crappy laptop screens. 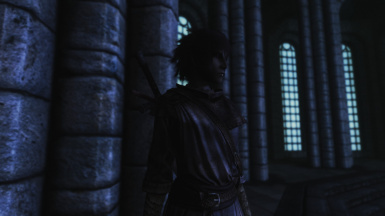 With V3, I finally utilized [url=http://www.nexusmods.com/skyrim/mods/15386/? ]Fimbulvinter ENB[/url]. I highly recommend it! Also, shout-out thanks to BravoOskar (NPC Editor pointers) and faeriexdecay's tips on creating better looking female NPCs! Huuuge thanks goes to all the patient modders out there who delivered all these great mods and instigated me to try my hand at modding. Your downloads, comments, endorsements, and screenshots mean so much! I welcome any constructive feedback you have as well. Let me know what I can improve or fix! Enjoy!